I am Gordon Harris. I have now qualified with a Diploma in Art History at the University of Oxford. I have an eclectic range of artistic interests from the medieval through to postmodernism and enjoy painting, sculpture and architecture. I am now retired after having had careers in mining, water supply and construction. White Box Art Channel is my diary of visits and exhibitions and the occasional comments on the history and current affairs in the Artworld. If you want to follow press the blue button at the top left of a post. If you do not want to bother about with passwords etc simple press google button when given the option. 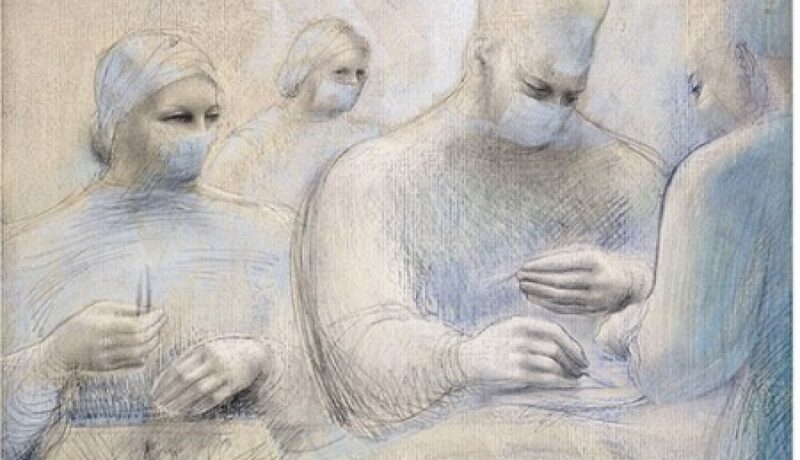 The header image is Trio ( Surgeons and Theatre Sister) or The Conclusion, 1948, by Barabara Hepworth from her Hospital Drawings series.